Biofuel: The future of the aviation industry? UAE national carrier, Etihad Airways, becomes first airline in the Middle East to operate biofuel-powered flight. In a unique collaboration, Etihad Airways, Boeing, Takreer, Total, and the Masdar Institute of Science and Technology, announce major environmental initiative called BIOjet Abu Dhabi: Flight Path to Sustainability. The new initiative is set to reinforce Etihad’s position as an airline with solid green credentials, while driving the commercialisation of sustainable aviation fuel in Abu Dhabi, the region, and globally. 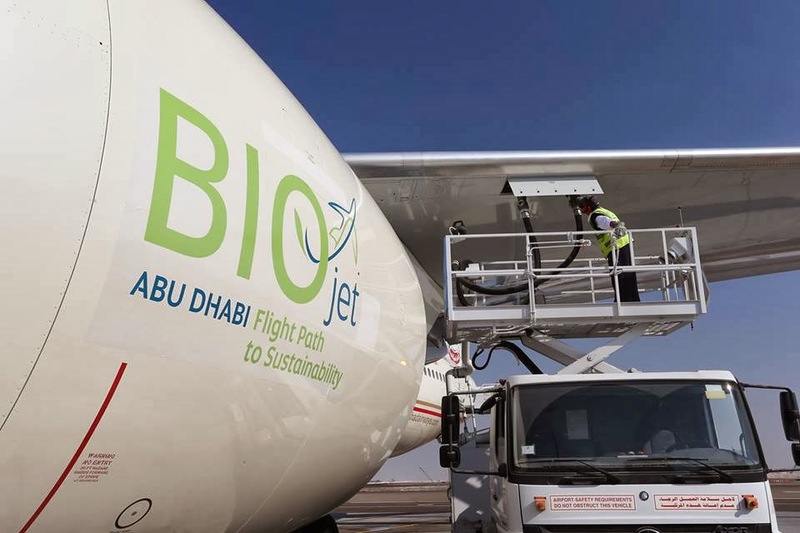 The announcement of this initiative comes one day after Etihad conducted a demonstration flight with a Boeing 777 powered in part by the first UAE-produced biokerosene, developed from an innovative plant biomass-processing technology. The biofuel was partially converted from biomass by oil and gas company Total and then refined into jet fuel and quality-tested by Takreer, a wholly owned subsidiary of Abu Dhabi National Oil Company (ADNOC), adding the UAE to a handful of countries that have produced and flown on their own biokerosene. As the airline industry continues to grow year after year, with more planes emitting carbon dioxide into the skies than ever before, biofuel could just be the answer to the future of ‘cleaner’ and ‘greener’ travel.